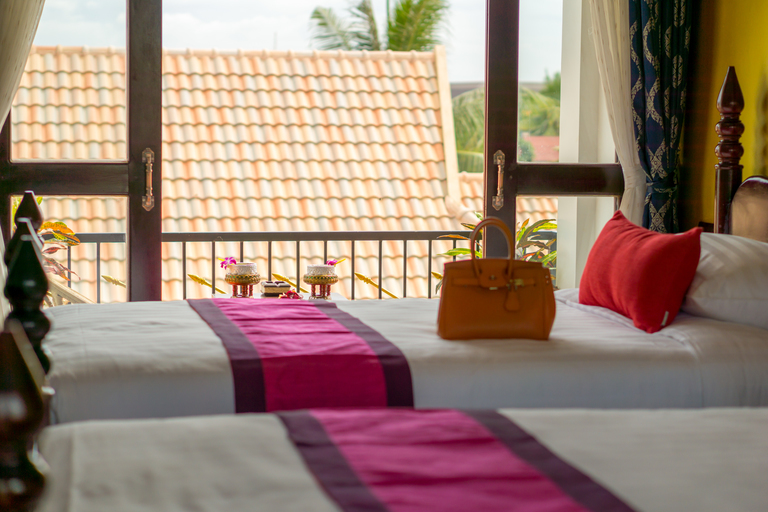 Warmly welcome our precious guests with drinks, Cold towel and fruit platter upon arrival. 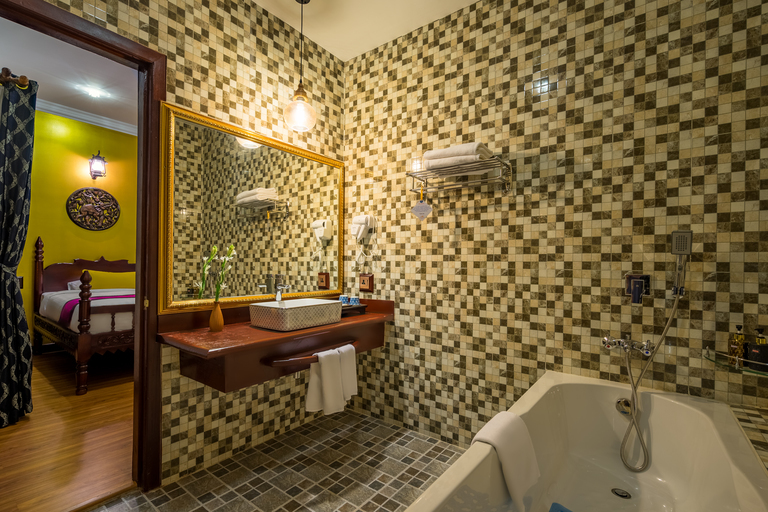 Our wifi network covered throughout the hotel for complimentary internet usage, swimming pool, complimentary breakfast and complimentary early check in depends on availability. 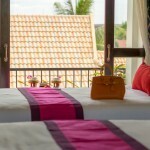 Deluxe Twin Bed Room is 45 sqm, city view offering a truly natural light. 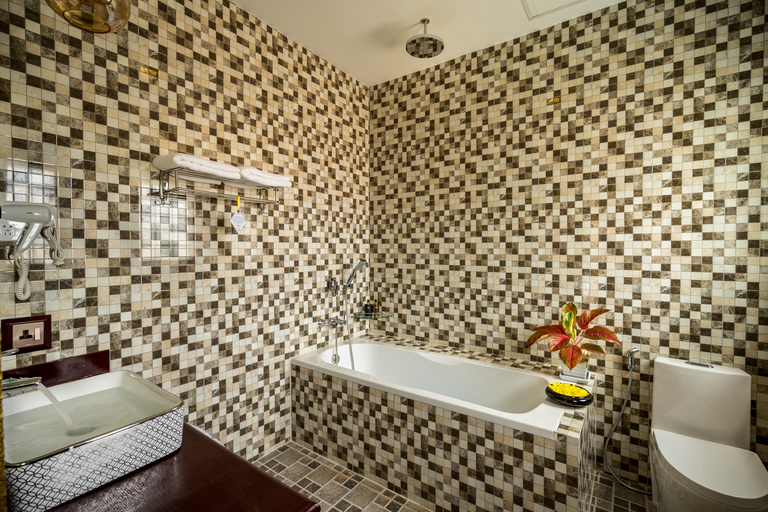 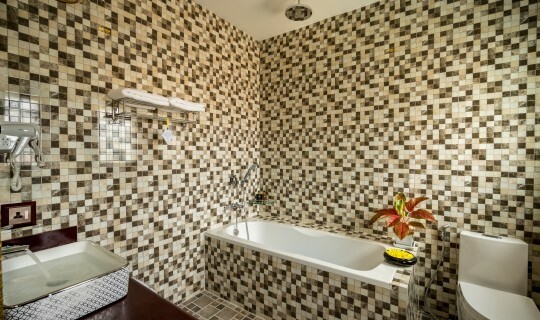 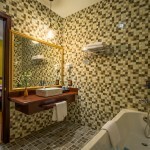 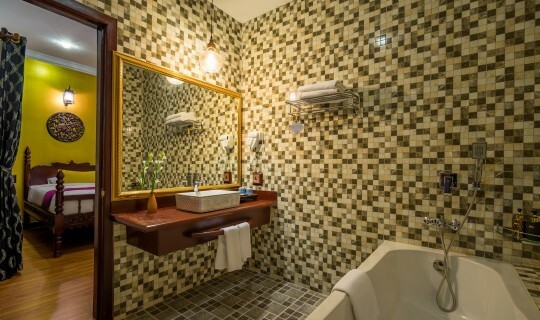 Moreover spacious bathroom with bathtub and shower facility give you fresh after back from Temple. 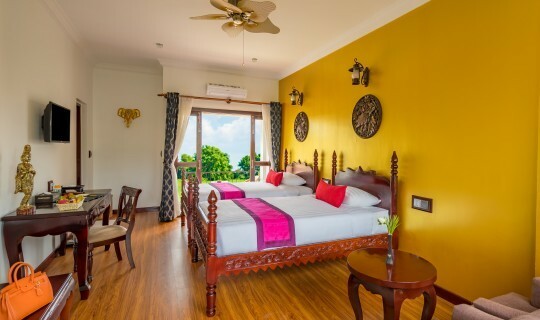 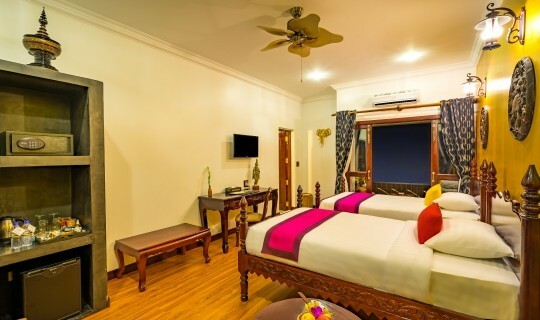 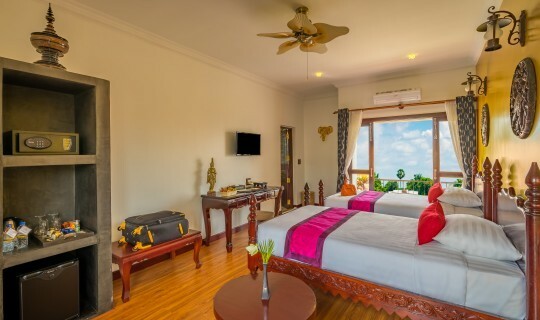 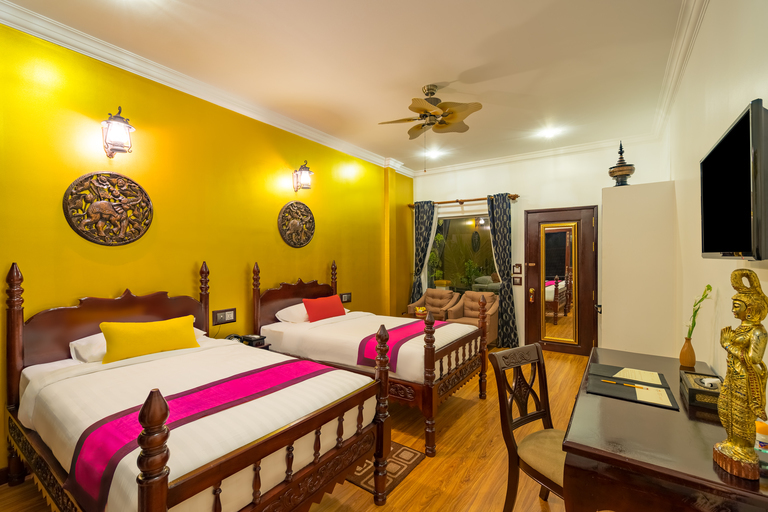 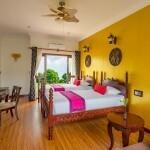 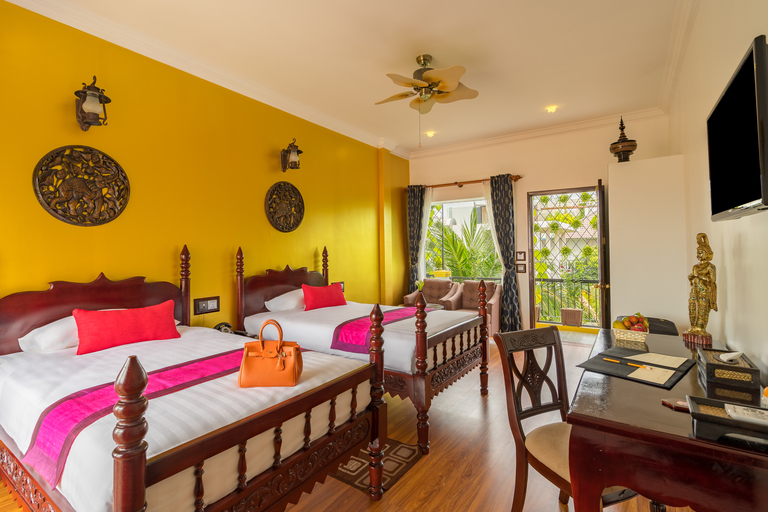 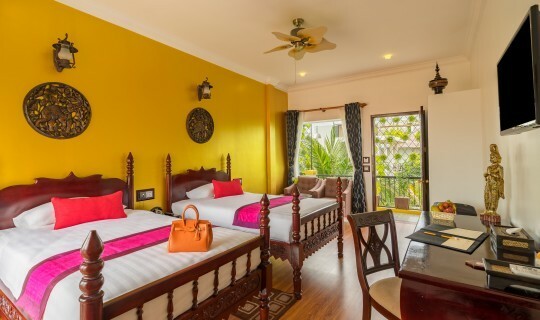 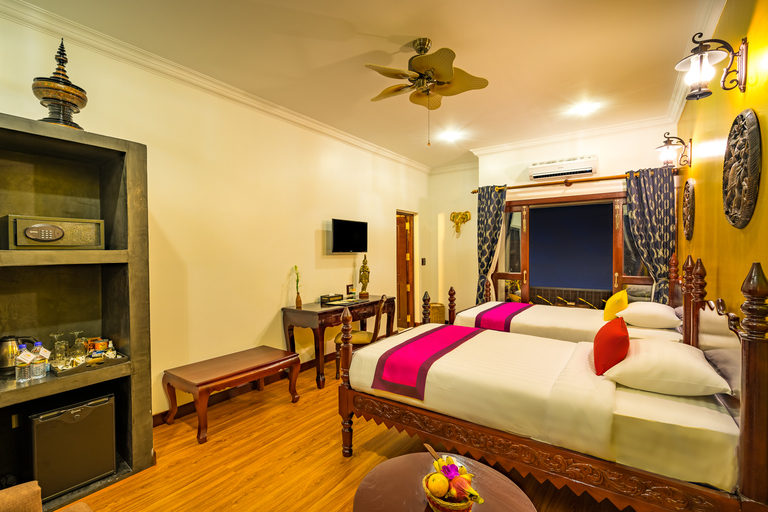 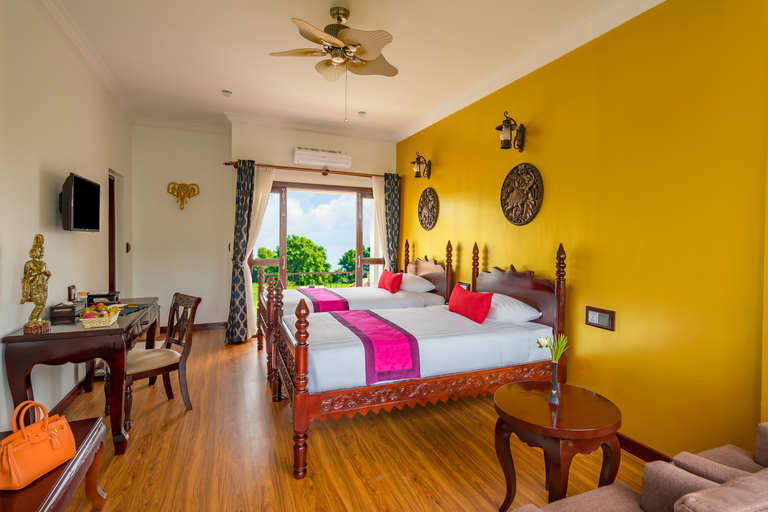 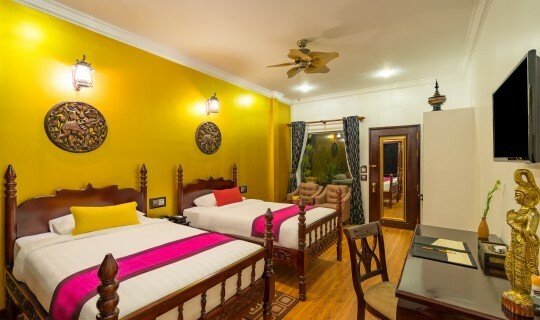 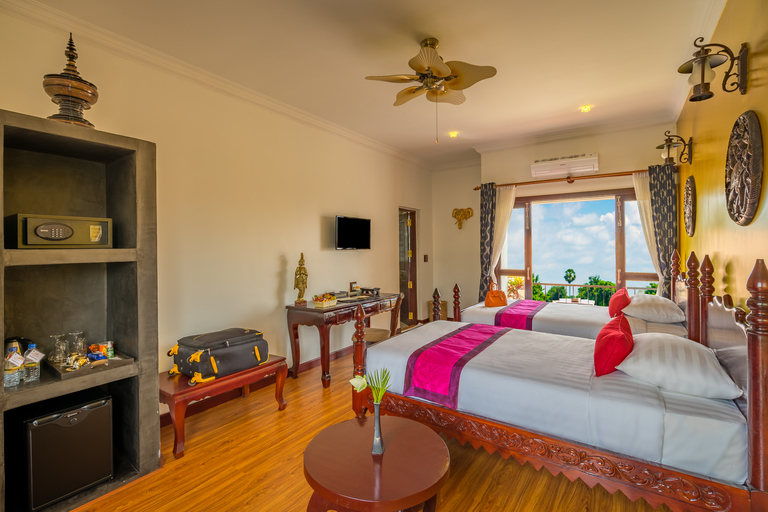 And spacious bedroom with private balcony are neatly decor by contemporary furnishings, including Myanmar and Khmer Arts, the golden teak color floor,and wide window will feel warm and home away from home ambiance. 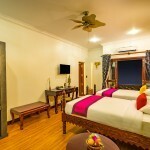 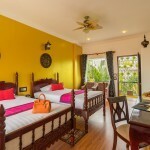 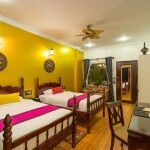 Extra bed (rollaway bed) is available for this room at 15$/night/pax.